“As a drummer academic, or perhaps an academic drummer, Dr. Gareth Dylan Smith likes to get his hands dirty. He walks the walk and talks the talk: both activities informing each other. As I transitioned hesitantly from a life of practice to one of study, he pointed the way to doctoral research and opened doors that I had never known existed. I hope we make more of his type soon”. “Gareth has been a fantastic teacher over the years. He helped to jump start my career with numerous opportunities including my first musical show in London and Pantomime in Essex. 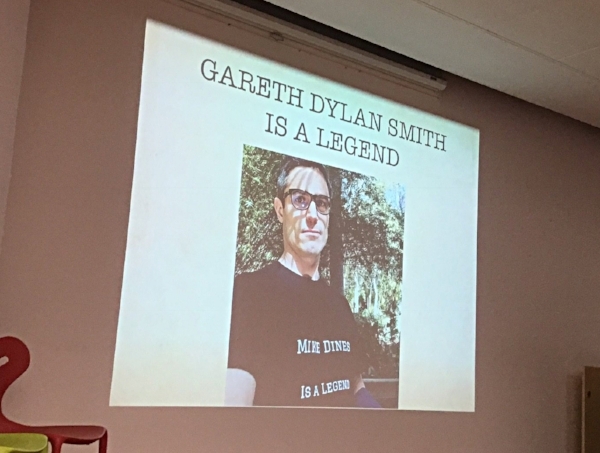 Additionally, Gareth played a huge part in co-writing a published academic article, an opportunity I would not have had through any other mentor”. “Gareth is an excellent mentor who passionately helps musicians flourish from young undergraduates to professionals. As an expert in his field he doesn’t hesitate to offer help, be it academic, personal or career development”. “Gareth has helped me immensely as an early career researcher in developing my writing style and finding my academic ‘voice’”.